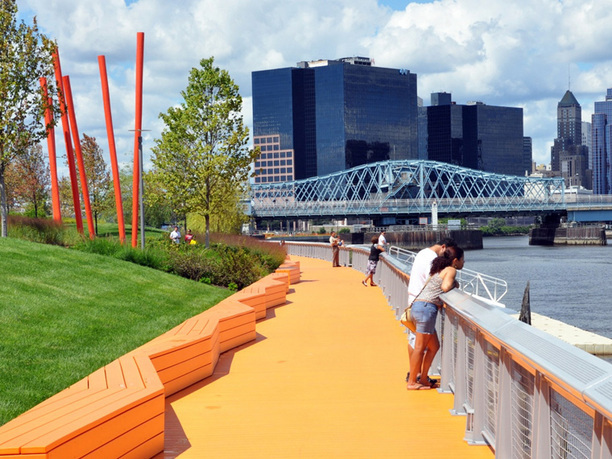 Hector and Weintraub Diaz Landscape Architecture, Newark Riverfront Park Segment 2, Newark, NJ, 2009–13. 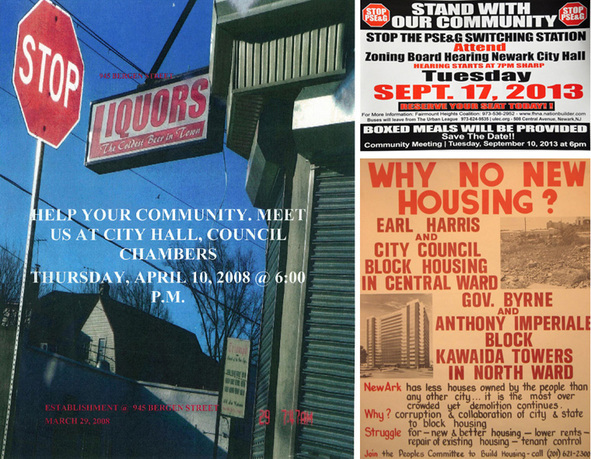 Courtesy of City of Newark, Trust for Public Land, and Ironbound Community Corporation. A century after legal tools like planning boards and zoning began to insert public power into decision-making about architecture and planning across the United States, the democracy of the material environment remains woefully incomplete. 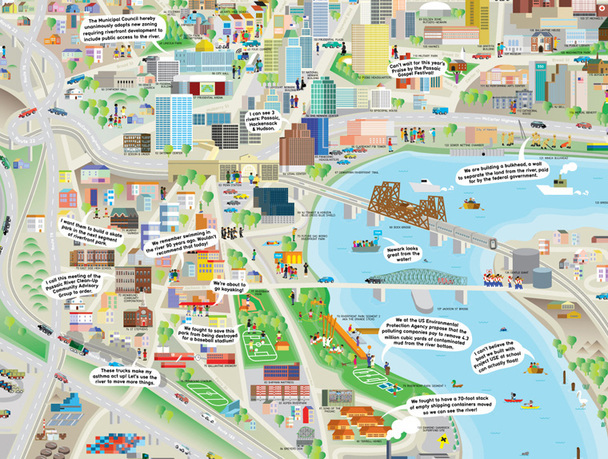 This research produces ways of seeing design negotiations between public representatives and private developers in order to train the democratic architectural imagination and its agents. 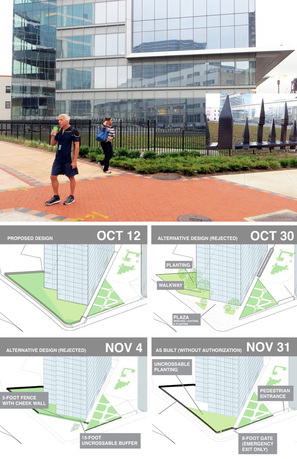 For example, an animation traces the formal evolution of a downtown high-rise where developers claimed an eight-foot spiked fence at the property line was necessary due to: (a) valuable trade secrets inside; (b) no one would walk to the building; (c) husbands of woman who had to come to this (majority Black and Brown) city everyday were very concerned; (d) their LEED point totals required this square footage of un-crossable groundcover planting; and (e) they didn't want crazy people smushing their faces on the curtain wall. Damon Rich is a designer, planner, and partner at Hector, an urban design, planning, and civic arts studio. 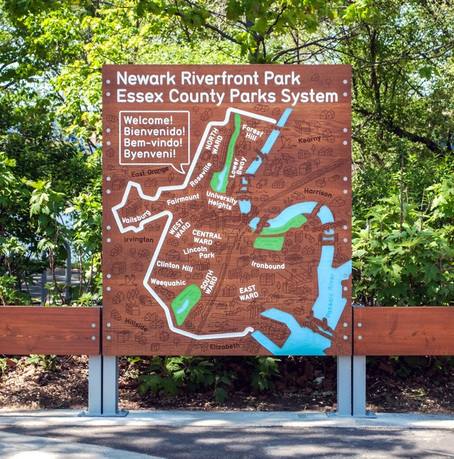 As director and chief urban designer of the Newark Planning Office, he worked from 2008 to 2015 to make New Jersey's most populous municipality a prosperous, walkable, and environmentally just city. His achievements included completing the city's first riverfront parks, launching the Newark Public Art Program, and drafting the first comprehensive update to the city's zoning regulations in over fifty years. Prior to coming to Newark, Rich founded the Center for Urban Pedagogy, an internationally recognized nonprofit organization that uses art and design to increase meaningful civic engagement, where he served as executive director for ten years. Rich has taught architecture and planning at schools, including Harvard University, and his design work was presented in the US Pavilion at the 11th International Architecture Exhibition in Venice (2008). Jae Shin is an architect currently serving as an Enterprise Rose Architectural Fellow at the New York City Housing Authority and partner at Hector. 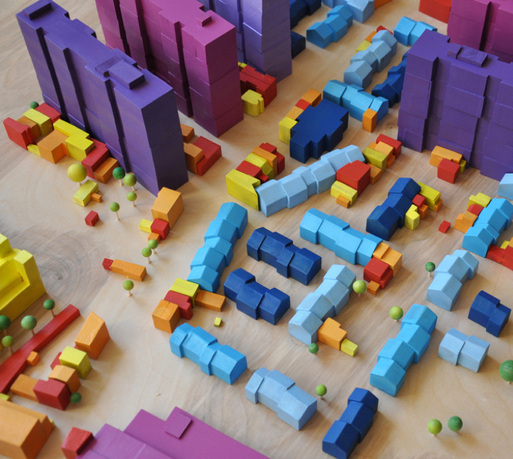 Combining architecture, exhibition, publication, and community design, her recent projects include street frontage strategies for the city of Newark, New Jersey; a complete streets report on an urban highway interchange for a coalition of resident organizations; and an exhibition commemorating the 350th anniversary of Newark's founding, including a large-scale, crowd-sourced model. Shin is a fellow of the MacDowell Colony and has taught architecture at the New Jersey Institute of Technology and Harvard University's Graduate School of Design.